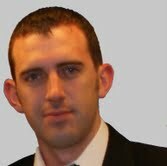 Paul Scannell joined the Irish Medicines Board in 2006 as part of the then medical device department. Subsequently he moved into the Human Products Authorisation & Registration Department as a medical device pre-market evaluation officer where his primary responsibilities include clinical investigation reviews, medical device classification reviews, notified body audits and the registration of medical devices. Paul also represents the IMB at several medical device European Working Groups including the Classification & Borderline Working Group and Qualification and Classification of Software Working Group. Prior to working with the IMB Paul obtained a primary degree in Mechanical Engineering and subsequent PhD in Biomechanical Engineering, both from Trinity College Dublin. Most recently he has completed an MSc in Technology Management through University College Cork with a research thesis on the impact medical device regulation have on successful academic spinoff formation in the medical device sector.